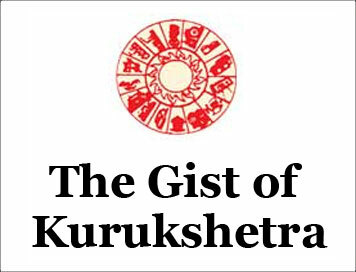 (The Gist of Kurukshetra) PM launches Ayushman Bharat - PM Jan Arogya Yojana at Ranchi [OCTOBER-2018] | IAS EXAM PORTAL - India's Largest Community for UPSC Exam Aspirants. The Prime Minister, Shri Narendra Modi launched the health assurance scheme: Ayushman Bharat - Pradhan Mantri Jan Arogya Yojana on 23 September 2018 at Ranchi, Jharkhand. Speaking on the occasion, he said that this is the world's biggest health assurance scheme and has been launched with a vision to provide the poorest of the poor and the underprivileged sections of society with better healthcare and treatment. PMJAY is the world's largest government funded healthcare program targeting more than 50 crore beneficiaries. It will provide a cover of up to Rs. 5 lakhs per family per year, for secondary and tertiary care hospitalization. Cashless and paperless access to services for the beneficiary at the point of service will also be provided. The scheme will help to reduce catastrophic expenditure for hospitalizations, which impoverishes people and will help mitigate the financial risk arising out of catastrophic health episodes. The scheme adopts a continuum of care approach, comprising of two inter related components: Creation of 1,50,000 Health and Wellness Centres to provide comprehensive Primary Health Care (CPHC), covering both maternal and child health services and non- communicable diseases, including free essential drugs and diagnostic services. The second component is the Pradhan Mantri Jan Arogya Yojana (PM-JAY) which provides health protection cover to poor and vulnerable families for secondary and tertiary care. It is a visionary step towards advancing the agenda of Universal Health Coverage (UHC). PINAY would cover 1300 illnesses, including serious illnesses such as cancer and heart diseases and private hospitals too would be part of this scheme. People can get the benefit of the scheme in any of the states that are a part of PMJAY. So far, more than 13,000 hospitals across the country have joined the scheme. The aim is to have 1.5 lakh such centres in India within four years.